Are you a veteran of the armed forces looking to apply your VA benefits with the right vocational training program? Then you might consider (VAS) Veteran Adjusting School. 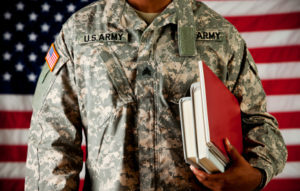 VAS is approved by the VA for tuition assistance under the 9/11 GI Bill ®. The 6-week school is a vocational training program that was built specifically to train veterans of the armed forces to become top tier CAT or catastrophe adjusters. VAS has a 100% graduation rate and over 95% job placement rate. When a catastrophic event (hurricane, hailstorm, wildfire, etc.) occurs, insurance agencies deploy catastrophe insurance adjusters to the storm-affected region to assess how much compensation their customers are entitled to under their policy. 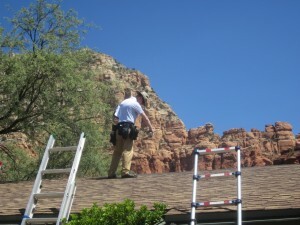 The adjuster will typically spend weeks to months at the storm site performing inspections and assessing the damages. Veterans are well suited to this career path as it requires the adjuster to maintain a strong work ethic in catastrophic conditions. CAT adjusting is a very rewarding career as they typically only work 6-9 months during the storm season and average between $70k – $100k. CAT adjusting also gives the adjuster a sense of fulfillment as they are able to help people get the money to put their lives back together in their time of need. CAT adjusting also requires a specific set of characteristics that are common among veterans. In order to be successful, the adjuster must be organized, hard-working, dedicated, and self-motivated as they are independently contracted and make their own hours. CAT adjusters are paid per claim closed. So a hard worker has a high earning potential. The reason that Veteran Adjusting School has over 95% job placement is because they have 18 insurance partners that believe so much in their vocational training program that they hire VAS students right out of school. One of the reasons that VAS students are so successful is because VAS is not looking for students, they are looking for dedication. Do you have what it takes?